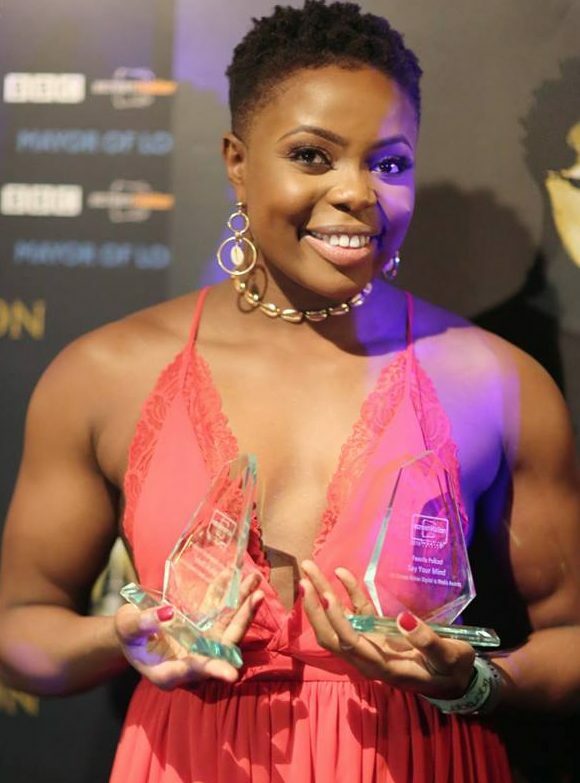 Hosted by presenter Samuel Eni and social media and radio personality Fourens, the 5th Screen Nation Digital is Media Awards took place at London's Tiger Tiger on 27th January. The fun-filled ceremony saw a host of top names from the online space and media grace the stage, while guest presenters included actress Ashley Bannerman actor/director Samuell Benta; Kidulthood star turned dir/prod Femi Oyeniran, actor and star of BBC3’s Famalam Tom Moutchi, visionary youth leader and filmmaker Amani Simpson and SceneTV's very own Editor Michelle Owusu. The honorary Digital Vanguard Award was presented to Rashid Kasirye Founder and CEO Link Up TV known as one of the UK’s leading online youth entertainment lifestyle channels responsible for promoting and launching the careers of many of the UK’s most exciting young online creatives. Two honorary Digital Achievement Awards were presented on the night with the first bestowed upon one of 2018’s breakout stars Rapman, the rapper,actor, director and creator responsible for the online smash Shiro’s Story. The second special Digital Achievement Award was presented to Teddy Nygh and Nicky Bedu, the founders of UK Fully Focused and Million Youth Media, the award-winning, youth-led production company and online platform. Congratulations to the winners and everyone nominated!